With the GTX 1060 now well and truly launched, there's a whole host of board partner cards aiming to win you over. In fact, we saw one just a few days ago, but the Asus GTX 1060 Strix OC proved to be too expensive to recommend, despite solid performance and an attractive feature set. MSI is another popular brand, and in for review today is its GTX 1060 Gaming X 6G. 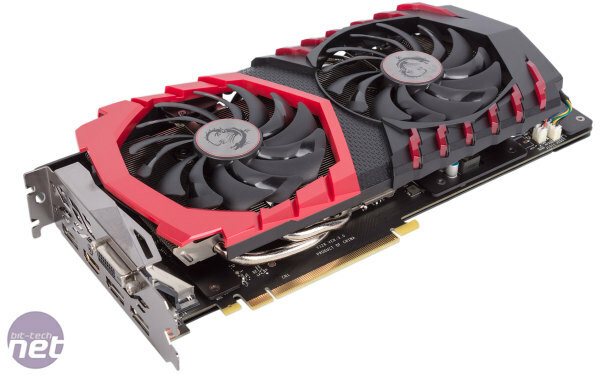 At £300, it has a price advantage over the £330 Strix card, but that's not to say it's inexpensive – it still has a 30 percent markup over the most basic GTX 1060 models which can be found for £230. 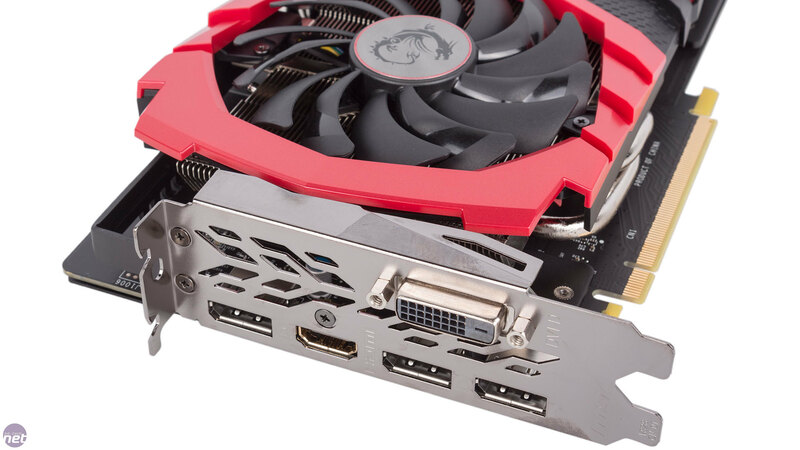 As we discovered in our GTX 1080 Gaming X 8G review, the Gaming X SKU in MSI's GPU families denotes a card that has a backplate (without RGB lighting), Twin Frozr VI cooling and a factory overclock. 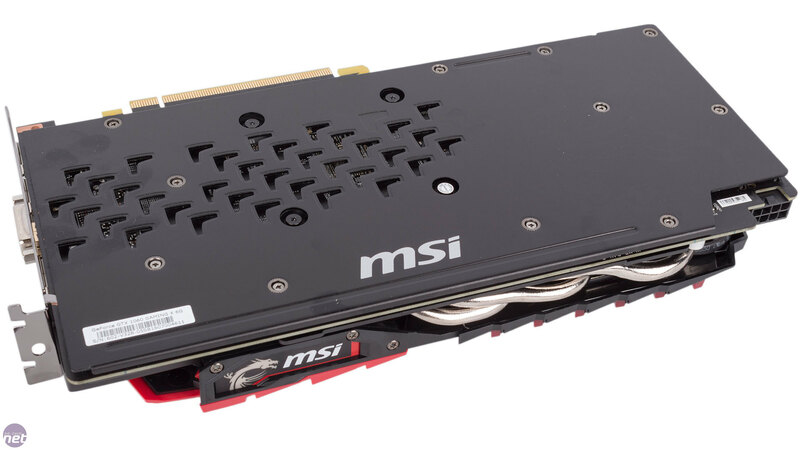 For the GTX 1060, this is MSI's highest-end version of the card. The card's engine clock isn't as high as we saw on the Asus card, but at 1,569MHz base it's still higher than the majority of cards out there. This is only the default speed (Gaming Mode) as well; downloading the MSI Gaming App lets you upgrade at the click of a button to OC Mode, where the clock speed is 1,594MHz base (a six percent increase over reference) and 1,809MHz boost. A third status, Silent Mode, can also be triggered giving you the reference clocks of 1,506MHz (1,708MHz boost). Nonetheless, as is our usual practice, we have tested in OC Mode for all tests, since while it's not the card's true default state it's still a readily available out-of-box setting. OC Mode also nets you a tiny bump in memory frequency, with the effective speed increasing from 8Gbps to 8.1Gbps. In Gaming Mode and Silent Mode it will stay at the default 8Gbps. Physically, the card's height is what stands out the most. It's 140mm tall, so users with narrow or certain small form factor cases will need to pay attention. The 277mm length is roughly a 20mm saving on the Asus Strix card, and about 25mm longer than the Founders Edition, but honestly most cases these days have plenty of room for GPUs so this is unlikely to be a deciding factor. Build quality is once again good, with the metal backplate providing welcome stability and taking the card's weight to over 1kg. 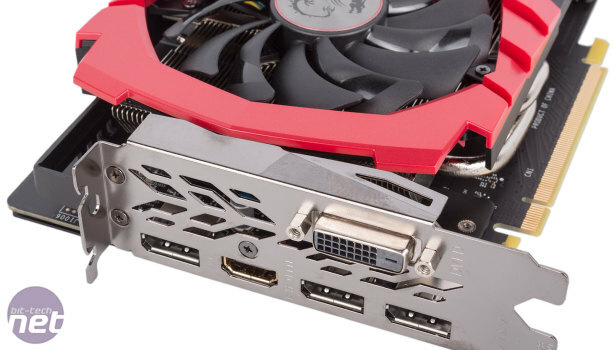 RGB lighting is hiding around every corner these days, it seems, and the GTX 1060 Gaming X is no different, with the red stripes on the front fascia being backlit by them. Colours and effects are again controlled through the Gaming App – it's a functional bit of software but we'd love to see MSI integrate it into the Afterburner overclocking utillity. Unlike Asus, MSI has stuck with the reference set of display outputs – three DisplayPorts, one HDMI and one DVI-D. 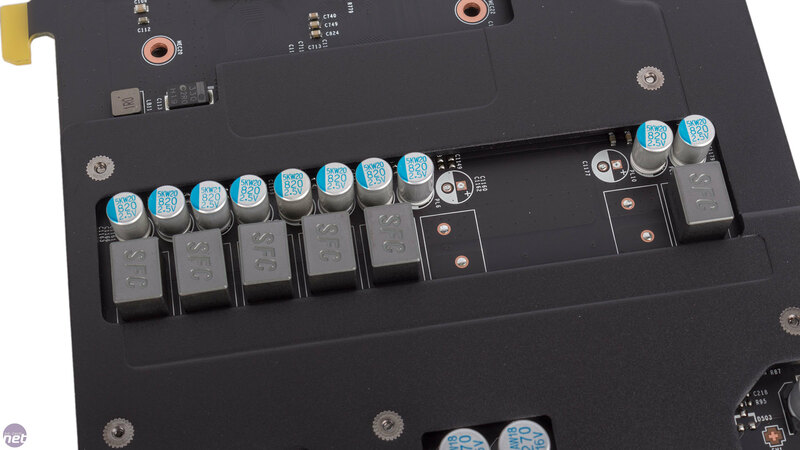 It has, however, like Asus and other partners, upgraded the solitary 6-pin PCI-E power connector to an 8-pin one for extra power headroom. 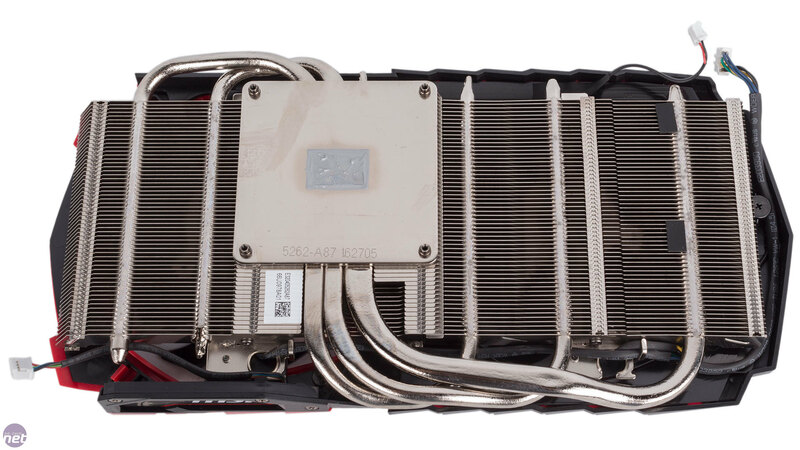 The Twin Frozr VI cooler here is very similar to the one MSI used on its GTX 1080 Gaming X, but not identical. The main difference is that it has fewer heat pipes, dropping from six to three (one 8mm, two 6mm). 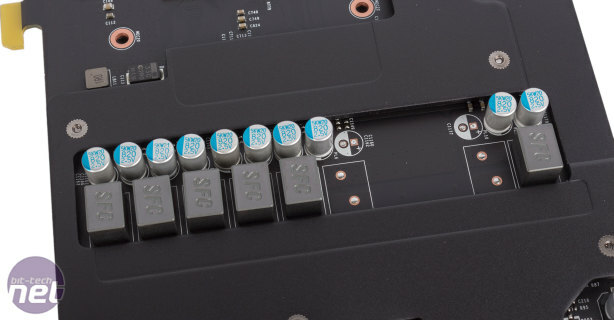 These are crowded together directly above the GPU, although they don't make direct contact with it. Instead, a contact plate is used, and this transfers heat to the heat pipes, which are themselves square-shaped on the bottom for maximum transfer. 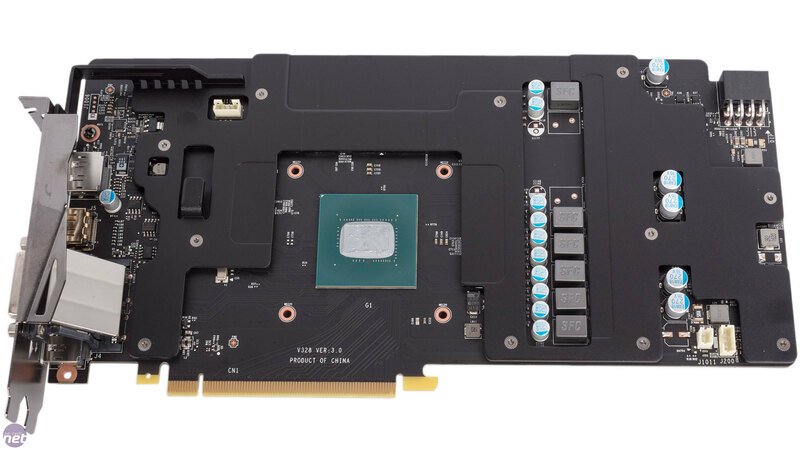 A contact plate also acts as a heatspreader, which is sensible on a chip this small – The GTX 1060 actually outputs more watts per mm2 than the GTX 1070 and even the GTX 1080. 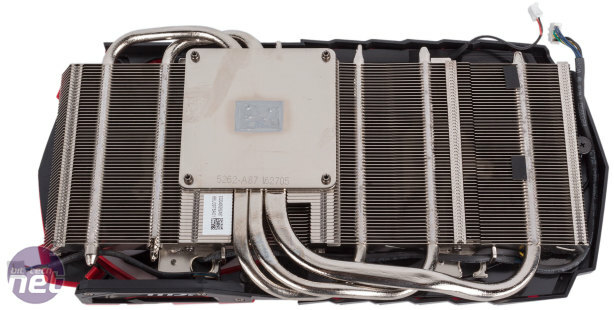 On the GTX 1060 Strix OC, Asus simply reused the cooler from the GTX 1070 Strix OC, which used direct contact heat pipes. 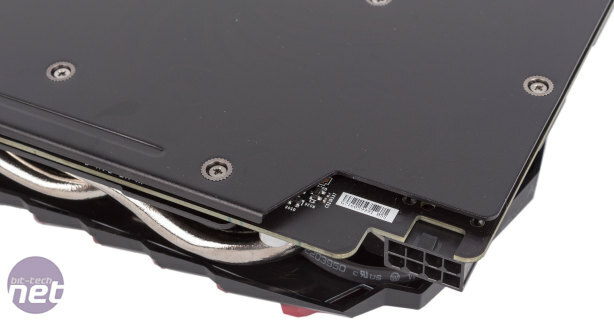 However, despite having five heat pipes and a massive fin stack, only one and a half of the heat pipes physically touched the GPU, and the fans actually span up faster on the less powerful card, suggesting some design inefficiencies. Hopefully that won't be the case here. Otherwise there's little new with this cooler. It has Airflow Control Technology, essentially small deflectors said to thrust air more directly at the heat pipes. 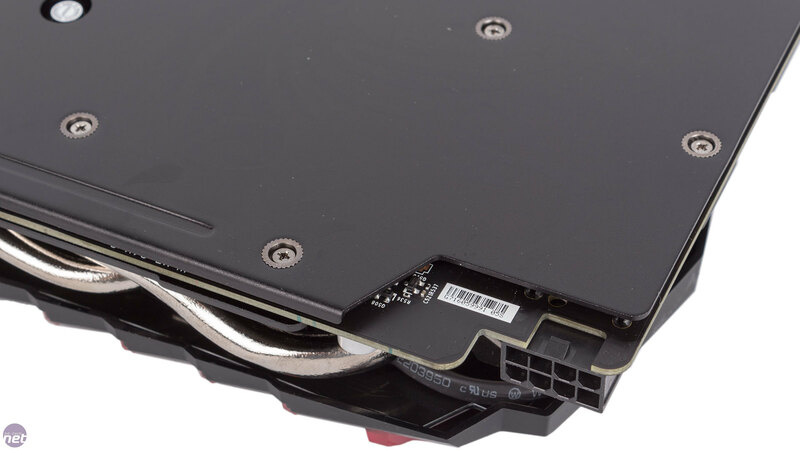 MSI has direct cooling for all memory chips and MOSFETs too with a dedicated cooling plate, and the direction of the fins mean that some air will exhaust through the rear I/O, but the open shroud means a lot will stil be dumped in your case. Cooling is achieved with a pair of MSI's Torx 2.0 fans which are a massive 100mm across and feature an alternating blade design to boost airflow while directing it downwards. Naturally, the fans are semi-passive so you'll enjoy total silence in idle periods. The custom PCB plays home to a 5+1 phase power design, which should be plenty for a card of this calibre. As ever with MSI's Gaming range, it also uses the company's Military Class 4 components, which come with a variety of claimed improvements many of which are said to boost overclocking potential. The GTX 1060 has a new SKU with faster memory - what difference can you expect?